Hannibal Buress, Kate Upton, and a bunch of other people just signed on for The Disaster Artist, and now this highly anticipated adaptation of the book about how The Room got made has swallowed another famous person into its black hole of weird acting, weird story lines, and weird…everything, really. According to The Hollywood Reporter, Zac Efron has joined the cast in what’s being billed as just a cameo. He’ll reportedly play a drug dealer, and though a cameo like that probably would’ve been distracting in a normal movie, The Disaster Artist will also feature James Franco playing Tommy Wiseau, so it’s not like anyone in the audience will be watching anything but that. 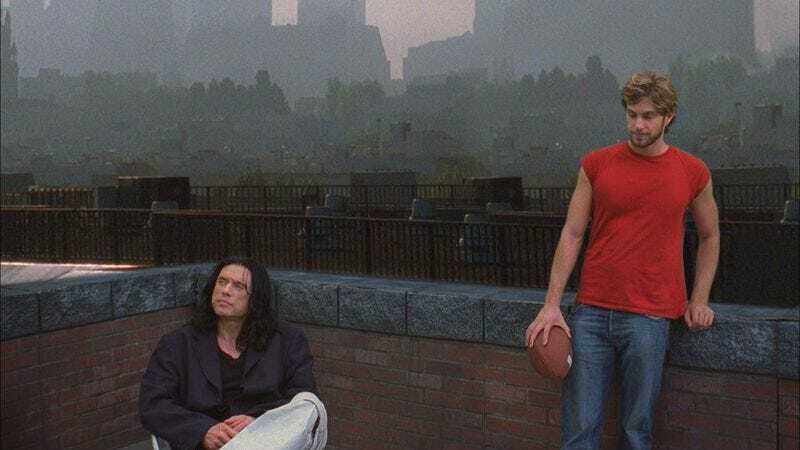 Speaking of Franco playing Wiseau, today he released a set photo from The Disaster Artist of him and brother Dave Franco (playing Greg Sestero, the guy who played Mark and wrote the book the movie is based on) in their best The Room wigs. The little Franco seems to be enjoying himself, but something about James’ face is hard to read. Does he think this movie is a wacky comedy or a dark drama? It’s impossible to tell!